Even with slightly warmer than average days for late August, we definitely are feeling the shift of the season to late summer. The days are getting noticeably shorter and the mornings are cool and crisp. This last week we pulled our storage onions for the year and have them curing in our prop house. We had a great turnout for our farm tour. And we received the giant project of our new high-tunnel. All the parts are now sitting out in the field ready to start construction on Monday. The warm weather this year has turned into a great growing season for our farm. 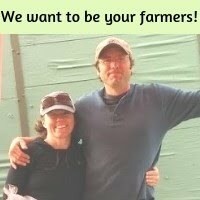 We are growing so much food and learning to much this year about how to run the farm better and more efficiently. It’s definitely a work in progress, but with our growing season more than half way over we are really happy with how production has gone on the farm so far this year. It’s been a while since we had a “Love it or Hate it” vegetable in the share. I know many people find eggplant to be “not their favorite”. We had multiple people last year say that previously they had not liked eggplant but had only ever had it from the store and never fresh from the garden or market and after giving our a try...they changed their minds and now love eggplant. Because many people strongly dislike eggplant we only include it in the shares 2-3 times a year. I am really excited about the eggplants. 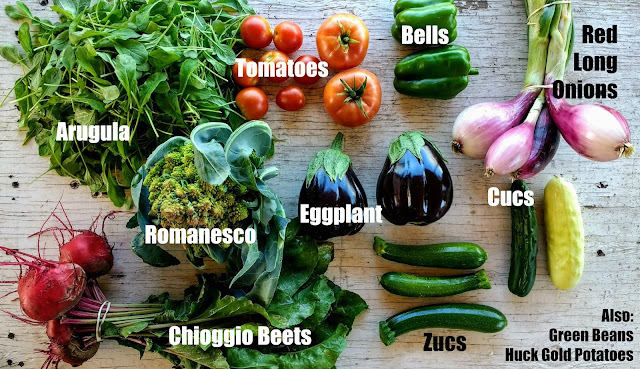 The plants are looking healthy and beautiful and I love the diversity of cooking with eggplant. It really takes on whatever flavor you are cooking with, be it Thai, Indian, or Mediterranean. As this recipe notes in the intro, making Baba Ghanoush is a great way to wade cautiously into the uncertain waters of cooking with eggplant. It’s very much like making humus, but with roasted eggplant instead of chick peas. What’s great is that it’s a dip. If something goes horribly awry, you’re not out a main dish. This dish is basically made of tomatoes, onions, and extremely fussily roasted eggplant, with just a few spices. The Red Long onions in your share will be particularly great in this. The Red Longs are best grilled, sauted, or roasted. This is our first week of the season not including something in the partial shares. You may think planting 150 Romanesco would mean you would have 100 Romanesco for CSA...but apparently out of these 150 Romanesco we got 50! So...just for full shares this week. There was a week in late spring when we had Romanesco for partial and Cauliflower for Full so we are glad everyone is getting them once this year. 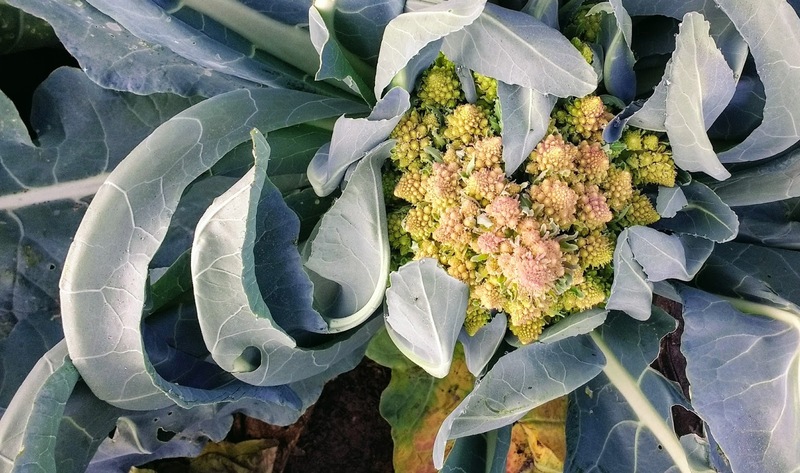 Romanesco is an Italian heirloom cauliflower. We think it tastes like a nutty cauliflower. We like to cut it into bite sized pieces, grill it, and top it on pizza. It is great as a side dish or as a beautiful topping for pasta/pizza or a unique addition to stir fry. Huckleberry Gold Potatoes are a purple potato. Beautiful and Delish!